PAUL Shiels says it was good to get back into competitive inter-county action as the Dunloy man made his competitve return for Antrim having spent all last year on the sidelines with a hip injury. Shiels played a starring role in Antrim’s win as he proved a major asset around the middle of the field having started the game at full-forward and says he is just happy to get back onto the pitch although he admits is has been tough getting back into a position to line out for the Saffrons again. “It’s great to get back into it,” he said. “It’s not easy. You want to be able to dot he things you were doing, but it doesn’t happen for you. “All you can do is keep the head down, work hard and try to nail down a place on the team for the rest of the league campaign. 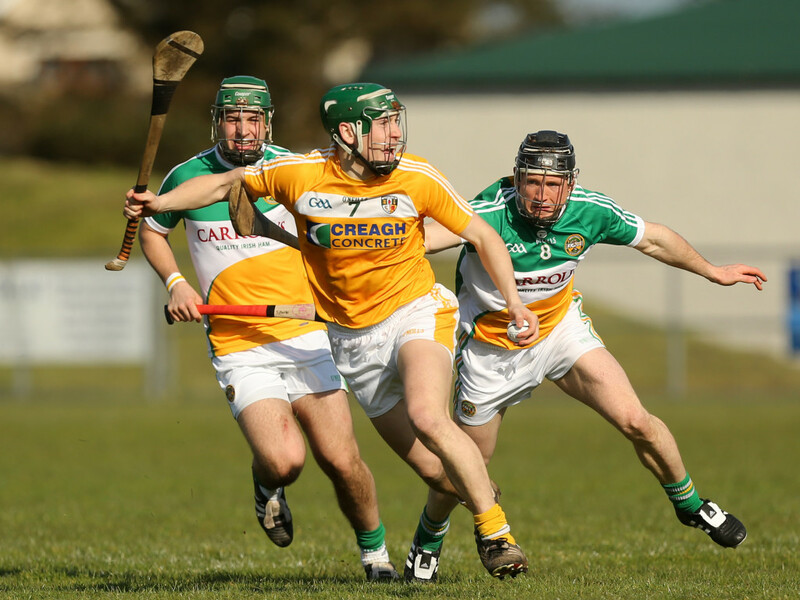 It was far from a vintage Antrim performance on the day as they struggled a bit in the opening period, but improved greatly after the break to pull away from a dogged London side who kept battling to the last. Shiels felt the icy wind that was blowing across Corrigan Park played its part in Antrim’s slow start and poor shooting, but agreed things picked up in the second period. “They were tricky conditions out there with the wind just but you just had to deal with it,” he added. “In the first half we played with the breeze and we sort of crowded ourselves out of it, but in the second half against the breeze we were playing a better style of hurling. “We were creating a bit of space and started to pull away. It’s not easy in those conditions, it’s hard shooting.” Antrim have a much tougher test ahead of them this Sunday when they travel to Carlow for their second game. The Barrowsiders have had the measure of Antrim in recent times, but Shiels says the team will travel with confidence. “It’s a massive game down in Carlow, so we’ll work hard this week,” he continued.